Watches, bracelets, necklaces, rings and earrings found in the haul. 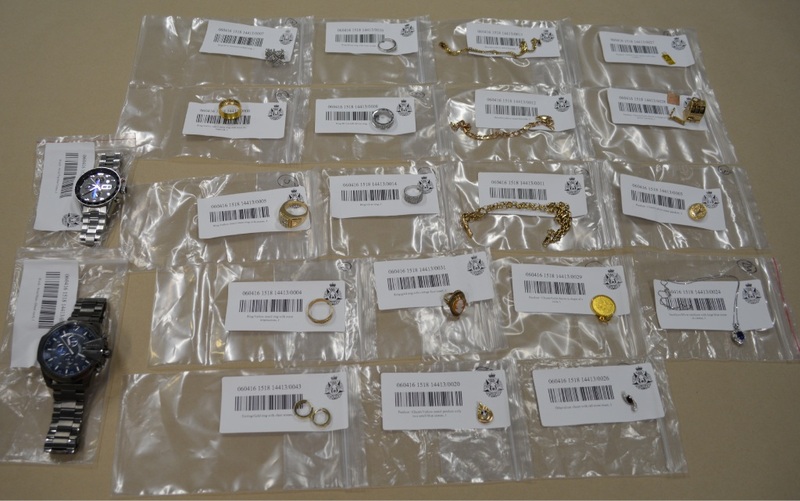 PERTH Detectives uncovered more than $20,000 of stolen jewellery in a Perth raid this week. Eight detectives from Perth Station executed a warrant at a Hay Street property at 3pm on Wednesday. Necklaces, watches, earrings, rings and bracelets were found in the haul, which was believed to be stolen from various locations across the metropolitan area. Police also found a Tag Heuer watch valued at $6500. Detective Senior Sergeant Darryl Cox said a $5000 watch had already been returned to its owner, a Coogee resident. A Perth woman (30) has been charged with three counts of possessing stolen property and she will be summonsed to appear in Perth Magistrates Court. Anyone who believes their property is among the jewellery should contact Crime Stoppers. Sgt Cox said police would need proof of purchase or ownership.